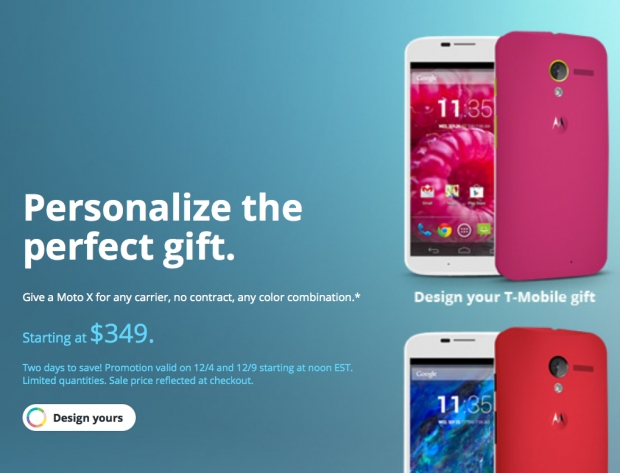 Motorola will re-run failed Cyber Monday Moto X deal | Android Blast! Motorola ran a Cyber Monday deal for the Moto X, but there was so much traffic the site went down. Did Kathleen Sibelius create their website? Users looking to save $150 on the Moto X were disappointed when the site simply wouldn't work. Motorola tried to fix the site, but just like the Obamacare website, it wasn't all that easy. They eventually threw in the towel and rescheduled the special. Motorola has issued a statement that the Motomaker special will now run on Wednesday and then again on Monday. Now you have two chances to get your Moto X for $350.